Noosa Library are loving their new space. The much loved Noosaville Library reopened its doors on Monday after the completion of its $2.2 million refurbishment and residents dashed in eager to see the changes which begin as soon as visitors walk through the doors into the new Showcase section.Noosa Council’s Libraries and Galleries manager Kerri Contini said the Showcase, which is styled like a book shop, contained items in high demand and librarians’ choice books set out for visitors to browse. 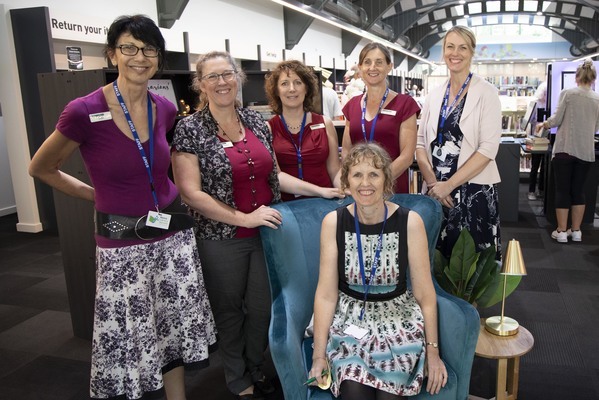 Kerri said the lessons had been learnt from the popular high-tech Makerspace section at Cooroy library and incorporated into Noosa’s new Makerspace which contains items including virtual reality equipment, 3D printers and sewing machines. She said library staff had learnt a diversity of 3D printers were required to suit the amazing range of uses to meet community demands and sewing machines had proved incredibly popular. The process of taking out and returning books has been streamlined with the use of new radiofrequency ID making it a quick and simple process. The library will be officially reopened on Friday 30 November at 10am by Local Government Minister Stirling Hinchliffe and Noosa Mayor Tony Wellington and there will be a community celebration with entertainment and activities including a welcome to country by the Gubbi Gubbi Dance Troupe, songs from 15-year-old singing sensation Sari Abbott and tales from storyteller Gregg Dreise.